In order to make Skype HD (high-definition) video calls, you need to fulfill some requirements, including a good HD webcam, a powerful enough computer etc. Among these is sufficient bandwidth, meaning an Internet connection that is speedy enough to carry the bulk of video frames in high quality. High Definition video in communication consumes a lot of data. The video is actually a stream of images in high quality that brush past your eyes on the screen at a rate of at least 30 images (technically here called frames) in one second. There is normally some (or a lot of) compression taking place, thereby decreasing the data consumption and preventing lagging, but if you want high definition video, compression backs out. Moreover, Skype is one of the VoIP apps that boast of the quality of its video. They use special codecs and other technologies to deliver crisp images and high-quality video, but this comes at a cost. Therefore, even you have all the necessary equipment for HD video calling with Skype, but if you don’t have enough bandwidth, you will never get the clear, crisp and bright HD video quality. You may even fail to be able to have a decent conversation. Frames will be lost, and the voice, which is more important than the visuals in a conversation, may suffer a lot too. Some people choose to disable their webcams and sacrifice the video for the sake of a clean conversation. How Much Bandwidth Is Sufficient? So, how much bandwidth is enough? For simple video calling, 300 kbps (kilobits per second) is sufficient. For HD video, you need at least 1 Mbps (Megabits per second) and are sure to have good quality with 1.5 Mbps. That’s for a one-to-one conversation. How about when there are more participants? Add another 1 Mbps per added participant for comfortable video conferencing. For example, for a group video call with 7-8 persons, 8 Mbps should be largely sufficient for HD video quality if you want to talk concurrently to them. To have a better idea, you can check how much bandwidth a video call is using. During an HD video call, click Call in the menu bar and select Call Technical Info. A window appears with details about the bandwidth consumption. Notice that the unit is in kBps, with a B in uppercase. It stands for Byte. You will have to multiply that value by 8 to get its equivalent in kbps (with small letter b) because a byte contains 8 bits. Both the upload and the download bandwidths are given. For versions earlier than 5.2, the Call Technical Info option is disabled by default. You have to change the settings to display it before starting your call. 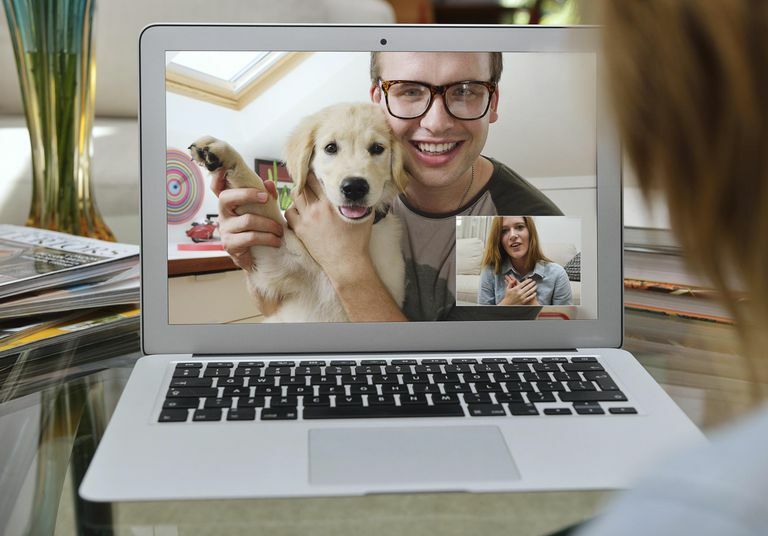 You can also, in real time, check whether your internet connection is sufficient for a Skype video call. To do this, select any contact, which would normally be the person you want to call, and in the conversation header, select Check Settings. A series of small bars, similar to the network indicator on mobile phones, will show the health of the bandwidth with regards to the call you want to make. The more bars you see in green, the better your connection is.